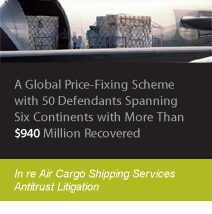 More than $1.2 billion recovered to date in an ongoing price-fixing action against more than four dozen defendants located in six continents, including many of the world's largest domestic and international airlines. Recovered more than $100 million in a complex action against dozens of energy companies that manipulated the price of natural gas futures contracts traded on the New York Mercantile Exchange; at the time, the second largest class action recovery in the history of the Commodity Exchange Act. Secured more than $50 million in settlements in connection with a long-running conspiracy to fix the prices of aftermarket automotive lights. Secured $31.7 million in total settlements on behalf of business injured by a conspiracy to fix the prices and manipulate the market for marine hose. Negotiated $22 million settlement in a complex antitrust case involving a conspiracy to fix prices for construction of flat glass and related energy surcharges. Obtained a $18 million settlement in a case involving a conspiracy to illegally fix the prices charged for aftermarket filters sold in the United States. 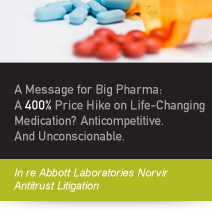 Battling Abbott Laboratories' unlawful price increase of Norvir, a life-saving HIV medication, we secured a $10 million settlement for the benefit of non profit organizations serving individuals with HIV. 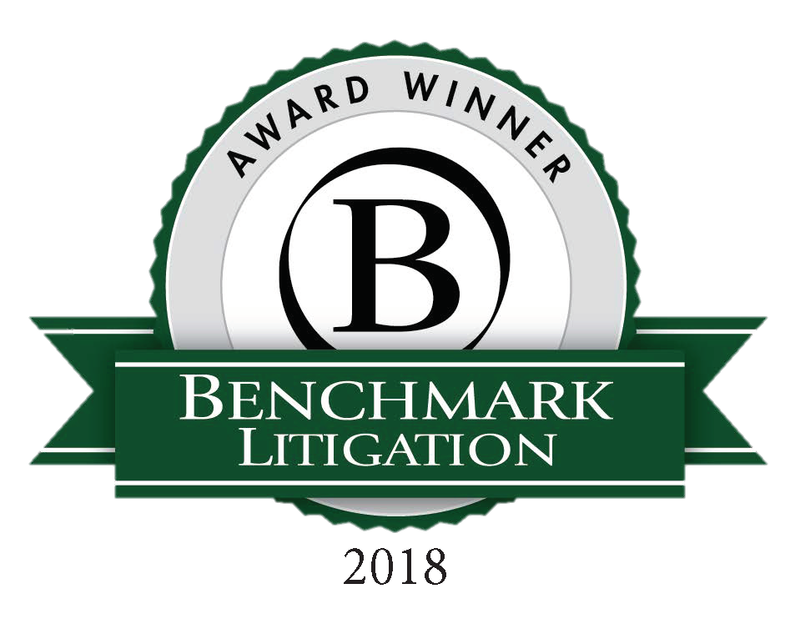 Please find more information on the Firm's market-leading cases here.